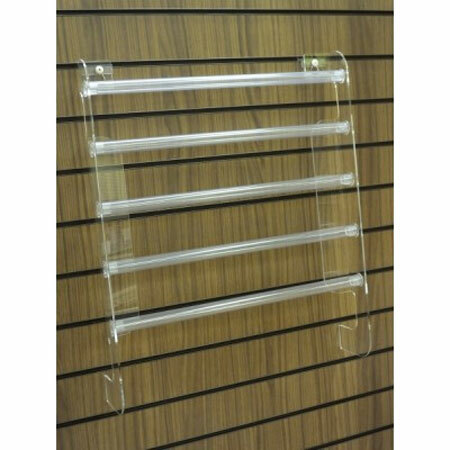 This gift wrap dispenser is a perfect way to display your gift paper on your slatwall board, it is manufactured in clear acrylic and British made. 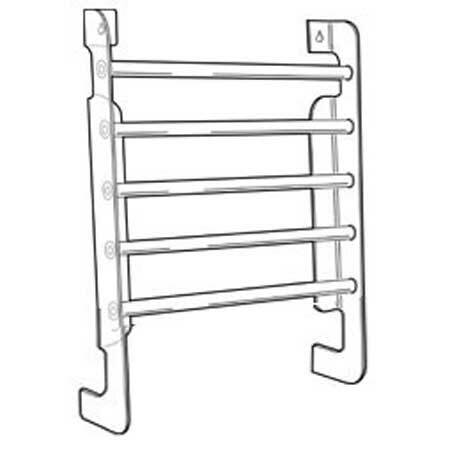 The dispenser has 5 bars which enables you to display 5 different designs. Can also be used for displaying items such as ties, scarves etc.